This summary provides the Chair’s assessment of the main points of the key issues discussed during the Pacific Platform for Disaster Risk Management, held in Suva, Fiji on 2–4 June 2014. It presents (i) the findings of a ten-year review of the Hyogo Framework for Action (HFA) in the region; (ii) a summary of a High-level dialogue between prominent representatives of Fiji, French Polynesia, New Zealand and Thailand, addressing community resilience building and the role of leaders in this agenda; (iii) the perspectives of the Pacific region on the consultation process around the development of the post 2015 Framework for disaster risk reduction (HFA2); (iv) the development of performance indiactors for the new framework; (v) the preparations for the Third World Conference for Disaster Risk Reduction; (vi) discussions led Pacific Youth representatives to identify ways to include youth as agents of change in helping to make communities resilient towards risk; (vii) the private sector's role in building national resilience to disasters and climate change; (viii) a side meeting that brought together representatives of Finance and Planning agencies to discuss their role in resilient development; (ix) progresses in the development of the Strategy for Climate and Disaster Resilient Development in the Pacific (SRDP); (x) Talanoa sessions; and (xi) linkages with the global post-2015 Development Agenda, the agreement of Sustainable Development Goals and the comprehensive review of the Pacific Plan in 2013. In order to assist Pacific overseas countries and territories (OCTs) develop resilience to natural hazards, the European Union (EU) has commissioned the SOPAC Division of the SPC to work alongside OCTs to increase the protection and management of the coastal environment. The project, which falls under the European Development Fund (EDF) 9 C Envelope, will focus on the analysis, development and efficient implementation of the disaster risk solutions in Wallis and Futuna, New Caledonia, the Pitcairn Islands and French Polynesia. This document forms part of the work undertaken for French Polynesia. 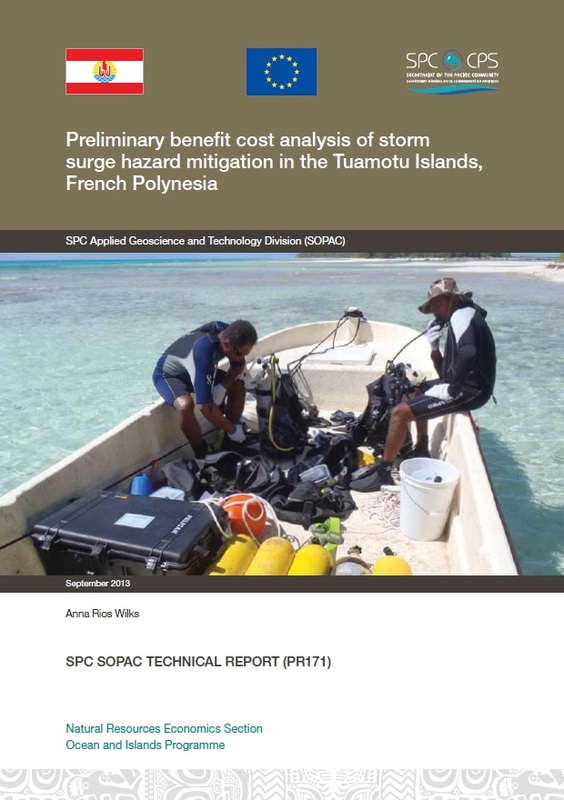 Specifically, this document provides a preliminary benefit cost analysis of different adaptation options for the Government of French Polynesia to combat coastal flooding in Rangiroa, in the Tuamotu Archipelago. Climate ExChange is a fully illustrated 250-page book with over 100 authors relating their work in weather, climate and water services at international, regional, national and local levels. The commentaries draw upon experiences around the world reflecting how people are using climate information to improve their lives. Climate ExChange reflects the progress and challenges in these fields, highlighting good practices in a wide variety of societies and disciplines. This publication captures key national experiences in the integration of disaster risk reduction (DRR) in the curriculum, identifying good practice, noting issues addressed or still lacking, and reviewing learning outcomes. The study researched DRR related curriculum development and integration, pedagogy, student assessment, teacher professional development and guidance, learning outcomes and policy development, planning and implementation aspects covering thirty countries. 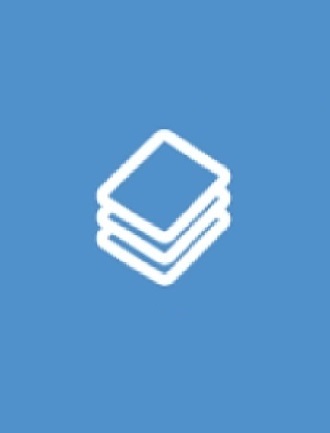 This document contains practical information on preparing and recovery from the effects of disaster events which may affect the British Virgin Islands. It includes hazard-specific safety tips and information on personal, family, business and community preparedness and protection. It considers the following hazards: flood, hurricane, including tides and surge, earthquake and tsunami, extreme heat and drought, as well as climate change. This report presents the institutional and legal framework for disaster risk reduction in British Virgin Islands, and describes its common disaster risks and natural hazards, such as hurricane, earthquake, tsunami, land slide and flood. It outlines the strategies, plans, projects and activities related to disaster prevention and risk management. Detailed climatological information is contained in annual volumes of the "Summary of Meteorological and Tidal Observations in Hong Kong". The Summary contains condensed information of surface and upper-air data recorded in Hong Kong. Starting 2007, summaries of observed sea levels at various tide gauge stations operated by the Hong Kong Observatory and the number of lightning strokes detected over the Hong Kong territory by the Lightning Location Network are also included.